I keep getting sucked back in.. I´ve never felt like this. What is it with us? Karmic in a good way or way bad? I´ve been with this man about a year and am faithful and know he has not been. At the start I knew he wasn´t and told myself give him 1 year to figure it out and I´ll be where I´m supposed to be. Now it´s about that time and he´s changed in some ways but we both now have trust issues and I miscarried in Aug-2018 which brought up a huge head butting battle because I was feeling lost and alone. Our Moons are square and Venus but there is just some thing I cannot just walk away from like my past long term relationships. I would love to know why it´s such a different feeling with this guy. Also my last pregnancy was 12 years ago by my ex that I wasn´t able to keep due to chronic health/pain diseases and had to terminate my pregnancy which was a traumatic, unforgettable, heartbreaking time but I think I´m cursed in the motherhood department in my Natal chart and past karmic bloodline situations. I´ve always felt that way..
His 12th house planets falling in your 8th have a real potential for this relationship to become a jail for you, especially if you have children with him and join your finances with his. In time there is also a high possibility of you being emotionally (Venus) and physically ( Mars) abused by him. There are also those other planets in his 5th that fall in your 12th and 1st. He has power over you (his 5th Pluto close to your Asc) and knows how to manipulate and gaslight you. His other 5th power trippers, Jupiter and Saturn might be good for him, but in your chart they fall in your twelve house of troubles, deceit and invisibility. Maybe you should start planning to leave him while children and finances are not involved yet. I would agree with you in every other case except this one, that´s because any planet close to Saturn, even Jupiter, becomes a little lame and doesn´t work at full throttle. Also any transits to the two planets in this chart might very well trigger dynamics of an expansive and uplifting effect first, followed by a big downer and loss. However for me the most emphasis was that in this particular synastry, his 5th of romantic relationships + its contents fall in her 12th house of secrets, invisibility , sacrifice etc, which added to a controlling Pluto on her Ascendant might create more of a toxic atmosphere in their love story with its repercussions rather than a full on happy one. Hi! I had a bf which indicates hes my soulmate. he broke up w me last June cuz of his Saturn transitting his seventh house. I would ask you to whats happening between us guys. I just cant forget him and quit in this relationship. We are still talking but not always. and still crying. he loves me and he says too. but hes saying that i dont want. i think cuz of our karmic problems. Im trying to figure it out and fix this issues asap. But if you see this chart what would you want to say to me guys.. i really need some informations about our relationship.. thank you.. Thank you so much for your answer! But in my solar return pluto,saturn and south node(all of them retrograde in capricorn) in seventh house conjuncting with each other. It makes me nervous. But i think you say everythings will be ok. So im confused when saturn and pluto is involved..
Oh! Sorry, i was looking wrong place.. thank you for your answers! I will start with the bad news. Saturn and Pluto soon will start actioning a lot of his natal planets by conjuction, square and opposition and put to the test many of his values and beliefs among other things. I am afraid it might be quite harsher than Saturn transit in 7th. He possibly already knows the trouble that will hit his life and he broke up because he wants to protect you and find it difficult to talk about it and doesn´t want you to see him at his most vulnerable. His natal chart speak loudly in a good way of traditional values all around with its prevalence of Capricorn-Cancer, Jupiter Libra 4th, etc and it looks like they are going to be put through a shredder. I want to be wrong about this, because more or less at the same time Uranus will start transiting in Taurus actioning in both your charts. As you know Uranus is the planet of surprises and sudden plot twists sometimes positively life changing. You are both still quite young and there are many strong synastry connections between your 5th of love and 11th of friendship houses. Your Aries Venus opposition to his Libra Jupiter is a formidable asset and channel of communication to discuss your troubles and differences - and there are a few- through the ages and how to move forward. His strong 11th Taurus Venus could potentially act as a classic rock of a friend in your 12th when transits move its troubled water. There are many more connections and you seem fully aware of them and of the fact that this is a relationship In trouble but surely worth fighting for (perfect description of Venus in Aries!). First of all thank you so much for your answer. But theres one thing that i didnt get clearly. By sayin “His natal chart speak loudly in a good way of traditional values all around with its prevalence of Capricorn-Cancer, Jupiter Libra 4th, etc and it looks like they are going to be put through a shredder.” what did you mean idk why but i couldnt understand it:( can you give more details about it? Thank you..
You´re welcome heresmd. Because of those forthcoming Saturn&Pluto transits I was particularly focusing on his 2nd/8th Cancer/Capricorn houses/signs axis, with 3 personal planets in Cancer, two of them Moon &Mercury in 2nd, and then the less personal ones, Uranus and Neptune in 8th. Also affected by those transits is Jupiter/Libra/4th. 2nd house: it doesn´t regard only to one´s own money, valuables, possessions and resources (“what I have”, which follows the initial 1st house of “who I am”) earned directly through one´s own work, efforts and talents. It also describes what values the person has, what they hold dear as much as, maybe more in some cases, than their jewellery and material possessions. Your boyfriend values are about his family and his hometown community, represented by that 2nd hse Moon in Cancer with Mercury – not only he feels strongly about his values, he also reasons them strongly . When I said about traditional values I was referring mainly to the above elements in his chart. These values are also further supported and reinforced by his Jupiter/Libra/4th hse and Venus/Taurus/11th. I think you can now join the dots yourself about that “traditional in a good way”. Unlike your boyfriend, there many people who do not have a positive experience of their home/town/country so they probably end up either feeling permanently alienated if they can´t move far away, and/or with also different values; also there are other people who may have strong feelings for family and country heritage but not a rational one and end up with unbalanced and toxic behaviours. Going back to the transits of Saturn and Pluto I think you can join the dots again and understand better my comments about the shredder. I mean you have already had a taste with the break up of your relationship. 8th house: again it doesn´t regard just to the family inheritance of money and property, or receiving from others not-earned riches. Some meanings also refers to other inheritances: like for instance complicated issues that parents, grandparents etc have ongoing from the past, unresolved disputes, which will come to affect also one´ own life. His Uranus and Neptune in 8th could mean a big intrigue, complexity and taboo in the lives of his family/ancestors that potentially might affect his life. Again you have to join the dots, and in this case it might be difficult even for you to do so as I think your boyfriend may have a great dislike and confusion to talk about this matters because they are possibly unclear to him too. Again those two transits- S and U will do some visible “shredding”, and then maybe you might gather more insight and understanding as to why he broke up with you. Excuse me but i think its not enough to say “its not going to last, move on” lol. The whole chart has potential. Not perfect but worth fighting for. Because with the neptune square saturn and other karmic aspects shows that we have to pass this test. In the past life we faced the similiar issues. And if we look at the whole chart we can see that theres a potential for fix these issues, sir. hes not worth it, his neptune in your 8th shows he could cheat on you anytime, you love him becausd your sun is right by his venus, so i know who chasing who, and I would advise you dont bother. mercury square mercury, is the conversations aint good anyway, his saturn is square your mercury so trying to tell him stuff will be difficult, neptune square saturn whats good about that aspect ? Here there is a tendency to try to remain completely functional and rational during traumas and trials without letting inner fears and emotions out both partners may be reluctant to express the depth of their emotions to each other or the effects that such traumas have on their perception of the world around them this is an area where both must learn to share their inner most thoughts with each other and learn to open up without fear of losing control of the situation. This may take some time for both to do but it will be deeply rewarding once they are able to express these tightly suppressed fears and emotions. So it doesnt mean hes cheated me or he will be. The only problem we have is his financial issues bout his family. So, cant be this? I thought it was strange because he has venus in taurus which is loyal, so I take that back sorry. Yes i know. When we were together um i was planning to leave university and work in his own job w him. But then we broke up and i see smt clear:) Im not going to let this happen. And he will learn to support me about this situations. Maybe yes, its hard. But hard aspects dont says “dont work on it,just leave” i think astrology says “ if u see smt wrong and hard, work hard for fix these issues/situations” and so, i believe our charts. I trust his love and my love. We will see. You know, not all squares means bad. So:) thank you. you seem to answer your own question like you know it´s not a healthy relationship for you but you can´t escape and astrologically in terms of synastry he "owns you" - his Pluto in your first and on your AC, his Sun, Mars and Venus (holy moly) all in your 8th house and that Uranus conjunct Mars you guys probably love at first site? 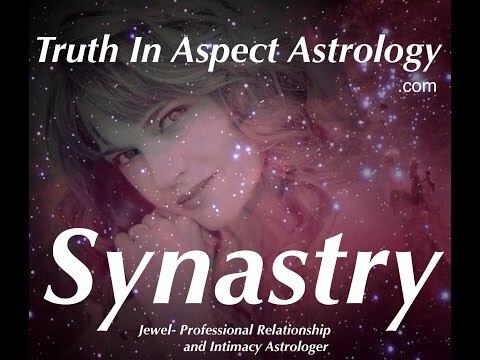 We could go on and on about the synastry but I think what you need (I´ve been there, I know) is extrication which will involve letting this go stopping the obsession SOO much easier said than done and this is about as intense a Plutonic Themed relationship as I´ve seen in a synastry chart. So mainly this should be about lessons learned surely karmic relationship for sure that doesn´t mean lifelong relationship think life lesson relationship. 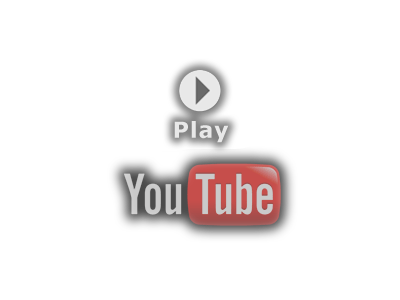 I´ll link a Youtube Video by Jewell maybe see if that resonates?